Well, it looks like I was right. My beautiful ensete is dying. This is what it looked like after I came home from my out-of-town conference this week. Definitely not good. I just wish I knew what was going on with it and if there was any way to save it. 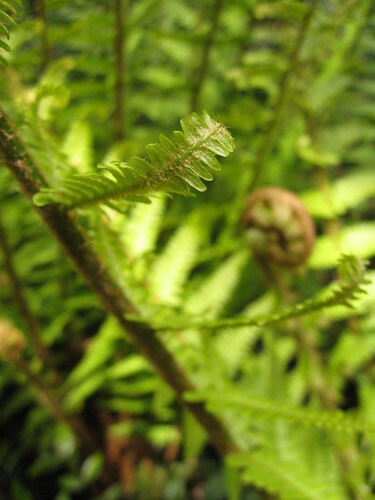 I'm wondering if nematodes might be the culprit, since they're mentioned in this article. If that's the case, I'm thinking that my best bet would be to get a nematode assay done before I plant another ensete in the same spot. Earlier this week I blogged about the potentially sick ensete. I figured I might as well share some photos of the other beautiful things that have been going on in the front garden. 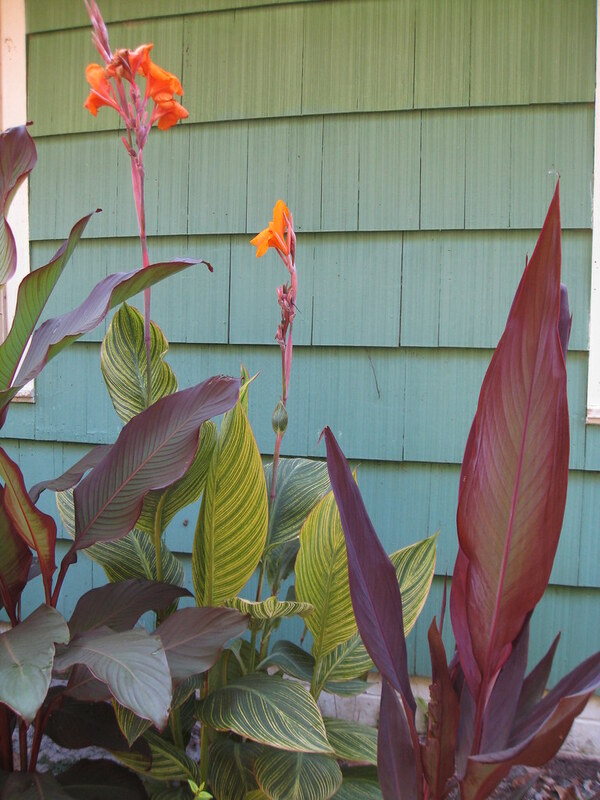 First off, the cannas and bananas have been going gangbusters. 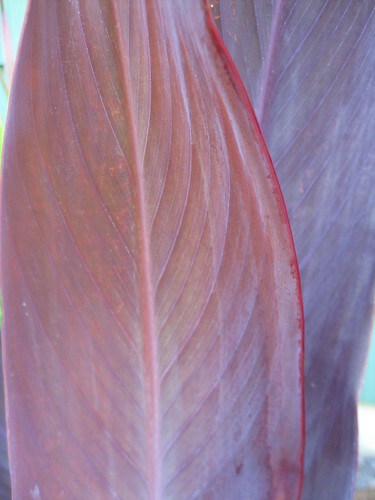 The 'Red Stripe' canna that I bought at Plant Delights Nursery last September is getting huge, and the 'Intrigue' canna is looking beautiful. 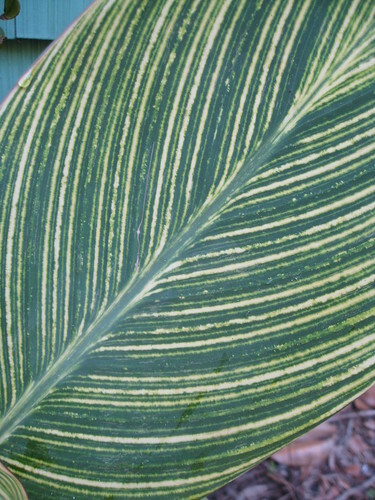 The striped canna is 'Bengal Tiger'. 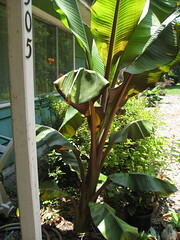 It was a generous passalong plant from Tom, along with a dwarf Cavendish banana that's doing splendidly. Speaking of what I bought at PDN, the chasmanthium seems to have died. Very sad. It turned brown over the winter and I cut it down in spring. 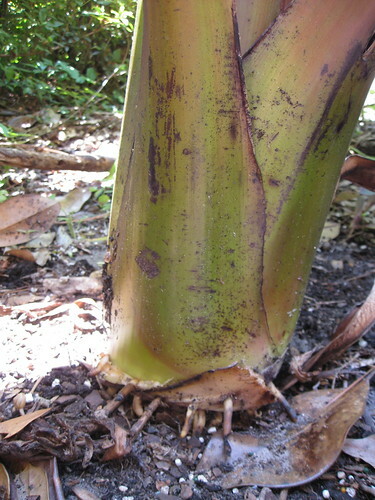 It put out a half-inch or so of new growth but then never grew any more. In Southernese, I'd say it up and died. But back to the pretty stuff. 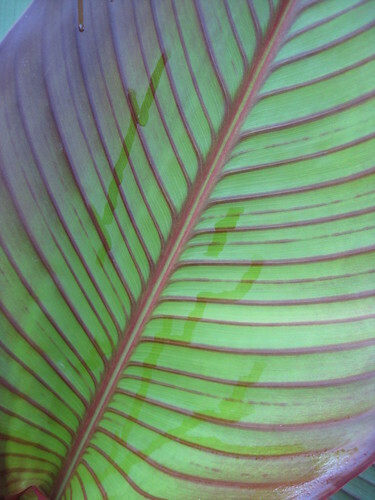 Here are some macro shots of the cannas and bananas for you to salivate over. 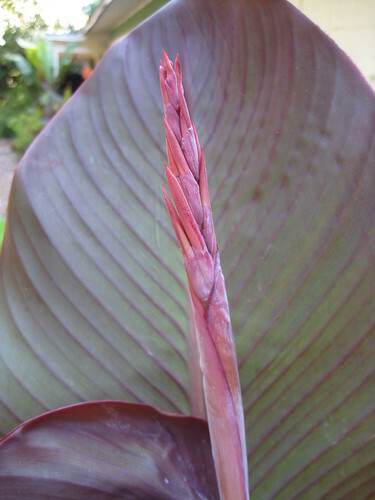 And one of the mystery cannas that we transplanted recently is about to bloom. 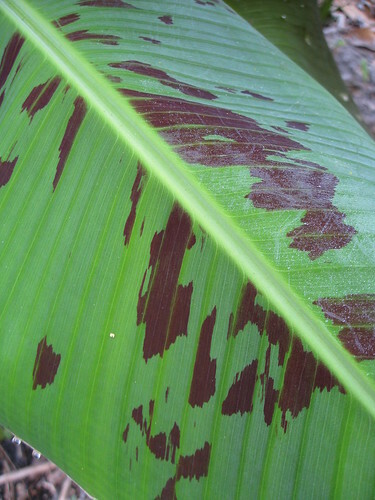 I'm wondering if it might also be 'Red Stripe'. 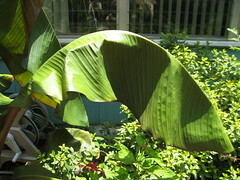 We planted this beautiful ensete back in April. It's been doing great and has double in height since then. But all of a sudden it's looking a little sick. It's listing to one side, and the leaves have started wilting. 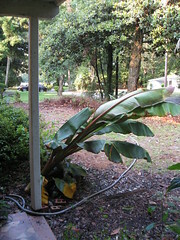 If wilting were the only symptom, I'd wonder if the cause was just the 90+ degree weather we've been having. 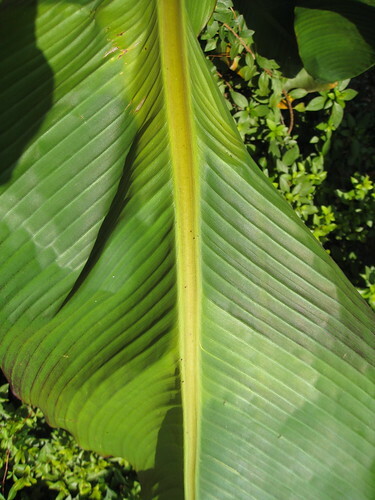 But the leaves are also looking chlorotic, namely in patches that correspond to where the leaf is sagging. Plus the roots are starting to pop free from the soil, as if they might be decaying. Any ideas what might be going on? I'm wondering if it might be some sort of fungal or bacterial disease. I'd love to be able to treat the problem, but I need to know what's going on before I apply any potential pesticides. Here's the second post about my recent trip to the Pacific Northwest. After spending time in Portland, we made our way up to the Seattle area. 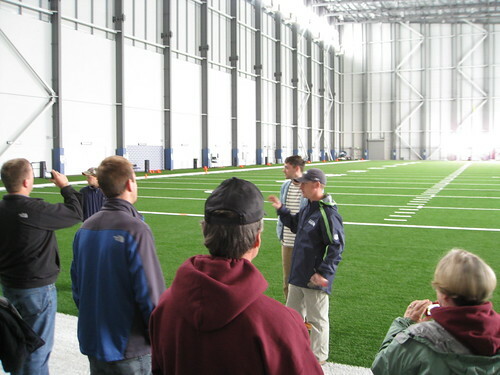 Our first stop was in Renton at the Virginia Mason Athletic Center, aka Seattle Seahawks practice facility. As you all know, I'm much more interested in plants than I am in turf, but even I enjoyed this stop. We got to peek in the indoor practice field which was HUGE. Nike was filming a commercial of some sort while we were there, so we had to sneak in between takes. The outdoor practice fields had a great view of Lake Washington, but it was pretty overcast that day so my pictures aren't that great. We got back on the bus and headed up to Seattle and met Nolan Rundquist, the city arborist, for a walking tour of the city. It was really interesting to hear about all of the challenges his team faces trying to grow trees in an urban setting. Here's a shot of us on the tour. 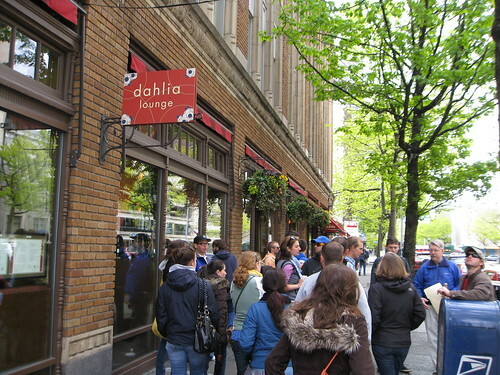 Of course I just had to put up this particular photo because of the Dahlia Lounge sign, given my love for dahlias. The euphorbias that we saw all over the city were amazing. I wish we could grow these here in Florida, but I've heard that they're prone to powdery mildew. I really loved the color and texture combinations in this bed. The next day we got a tour of Qwest Field where the Seattle Seahawks play, and a tour Safeco Field where the Seattle Mariners play. I have to say, it was pretty freakin' cool to get to walk on the fields. I mean, how many times do most people get do that? Plus, I've been a big baseball fan since I was a kid, so this was a real treat for me. 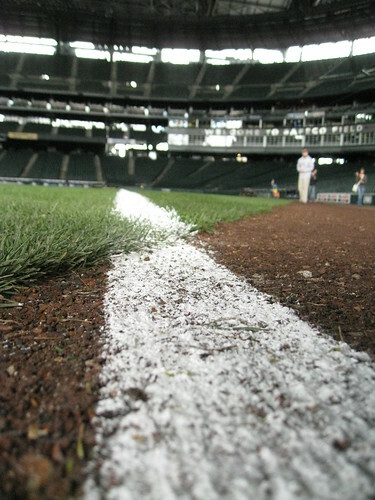 Here's one of my favorite shots looking down the third base line at Safeco Field. But y'all want to see pictures of plants, right? Fear not! 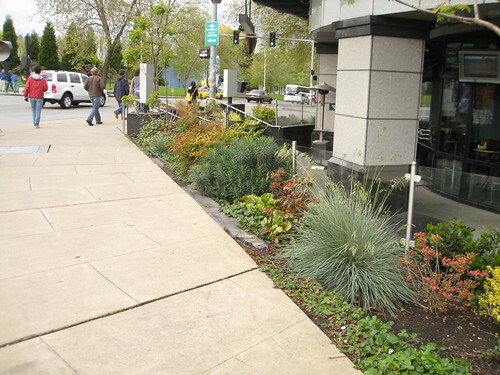 The plant jackpot came when we headed up the road to Bellevue Botanical Garden. 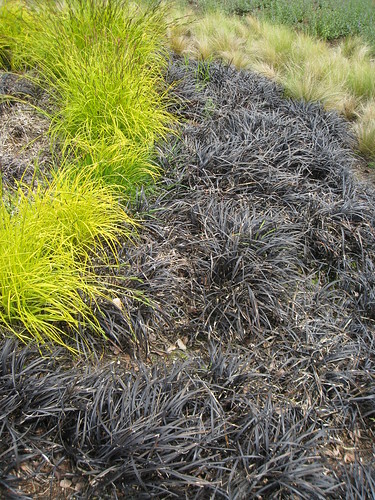 It was a delightful garden full of all sorts of fabulous plants in stunning combinations like this one, which I think was a gold sedge and Ophiopogon nigrescens. 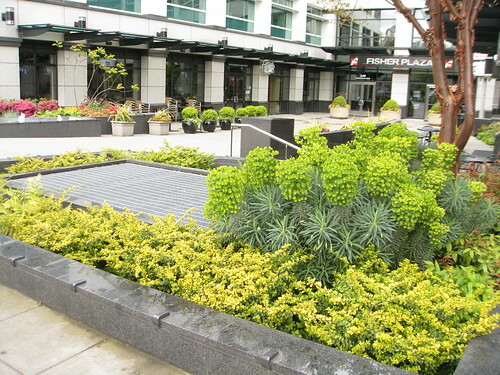 I'd love to come back and see this garden as it changes from season to season. 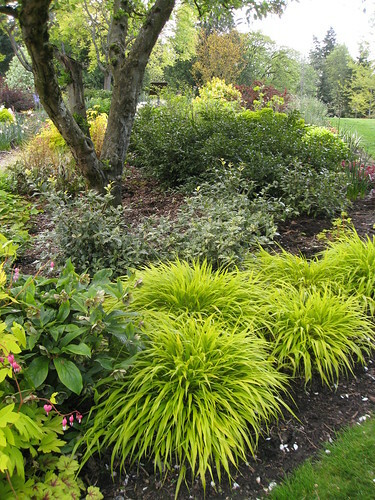 Check out this beautiful Japanese forest grass (likely Hakoenechloa macra 'All Gold'). Isn't it beautiful? Sadly, I've also heard that this one won't thrive here in Florida. Sigh. I loved this Cotinus for its striking contrast between the foliage and the flowers. 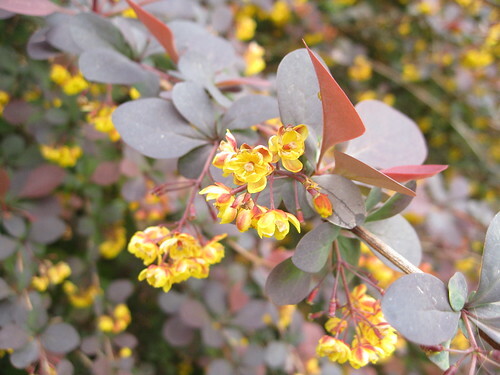 I'm wondering if we can succesfully grow smokebush in Florida. 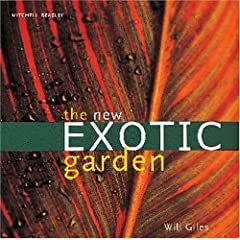 My trusty Southern Living Garden Book says it can be grown as far south as Georgia, but I'm thinking that Florida might be a little too warm for it. The garden also had tons of ferns, and I've been a sucker for ferns ever since college. They're so primitive and yet so fascinating! 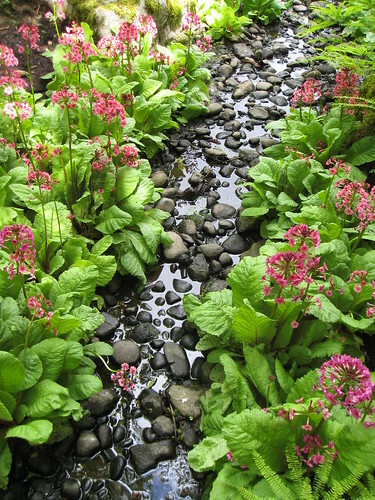 We also saw lots of primroses throughout our journeys in the Pacific Northwest. This was a fairly new plant for me. Well, that's all for now. The final installment will include the photos I took when we went up to Victoria, British Columbia and visited Butchart Gardens. If you've never seen photos of Butchart, you're in for a treat. 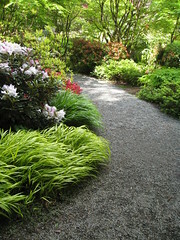 I promise the next post will be chock full of bold plant combinations for all of you daring gardeners!